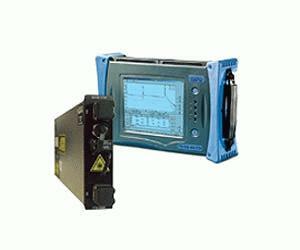 and FTB-100B Mini-OTDR, this module features four wavelengths and an optional visual fault locator (VFL). Designed for enterprise/private network test applications, the FTB-7200D Premises Network OTDR combines singlemode and multimode fiber test functionalities. Designed for real-life applications, it easily withstands the high reflectance of field-installed connectors. Its controlled launch conditions make for more accurate loss measurements. It is optimized for testing both 50 µm and 62.5 µm multimode fiber. provides pinpoint measurements—what you need for highly efficient multimode/singlemode OTDR performance.